Physicists discovered one type of Higgs boson in 2012. Now they’re looking for more. When physicists discovered the Higgs boson in 2012, they declared the Standard Model of particle physics complete; they had finally found the missing piece of the particle puzzle. And yet, many questions remain about the basic components of the universe, including: Did we find the one and only type of Higgs boson? Or are there more? The Higgs mechanism gives mass to some fundamental particles, but not others. It interacts strongly with W and Z bosons, making them massive. But it does not interact with particles of light, leaving them massless. These interactions don’t just affect the mass of other particles, they also affect the mass of the Higgs. The Higgs can briefly fluctuate into virtual pairs of the particles with which it interacts. Scientists calculate the mass of the Higgs by multiplying a huge number—related to the maximum energy for which the Standard Model applies—with a number related to those fluctuations. The second number is determined by starting with the effects of fluctuations to force-carrying particles like the W and Z bosons, and subtracting the effects of fluctuations to matter particles like quarks. While the second number cannot be zero because the Higgs must have some mass, almost anything it adds up to, even at very small numbers, makes the mass of the Higgs gigantic. But it isn’t. It weighs about 125 billion electronvolts; it’s not even the heaviest fundamental particle. “Having the Higgs boson at 125 GeV is like putting an ice cube into a hot oven and it not melting,” says Flip Tanedo, a theoretical physicist and postdoctoral researcher at the University of California, Irvine. A lightweight Higgs, though it makes the Standard Model work, doesn’t necessarily make sense for the big picture. If there are multiple Higgses—much heavier ones—the math determining their masses becomes more flexible. The two primary theories that predict multiple Higgs particles are Supersymmetry and compositeness. Popular in particle physics circles for tying together all the messy bits of the Standard Model, Supersymmetry predicts a heavier (and whimsically named) partner particle, or “sparticle,” for each of the known fundamental particles. Quarks have squarks and Higgs have Higgsinos. “When the math is re-done, the effects of the particles and their partner particles on the mass of the Higgs cancel each other out and the improbability we see in the Standard Model shrinks and maybe even vanishes,” says Don Lincoln, a physicist at Fermi National Accelerator Laboratory. 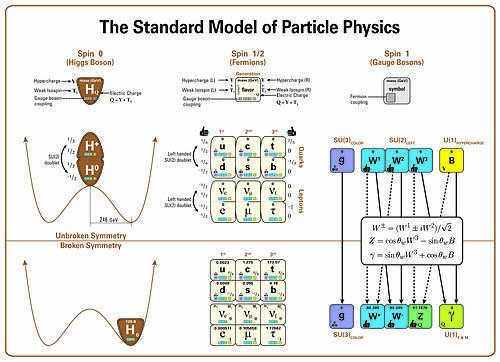 The Minimal Supersymmetric Standard Model—the supersymmetric model that most closely aligns with the current Standard Model—predicts four new Higgs particles in addition to the Higgs sparticle, the Higgsino. While Supersymmetry is maybe the most popular theory for exploring physics beyond the Standard Model, physicists at the LHC haven’t seen any evidence of it yet. If Supersymmetry exists, scientists will need to produce more massive particles to observe it. The other popular theory that predicts multiple Higgs bosons is compositeness. The composite Higgs theory proposes that the Higgs boson is not a fundamental particle but is instead made of smaller particles that have not yet been discovered. Composite Higgs theories predict that if there are more fundamental parts to the Higgs, it may assume a combination of masses based on the properties of these smaller particles. The search for composite Higgs bosons has been limited by the scale at which scientists can study given the current energy levels at the LHC. 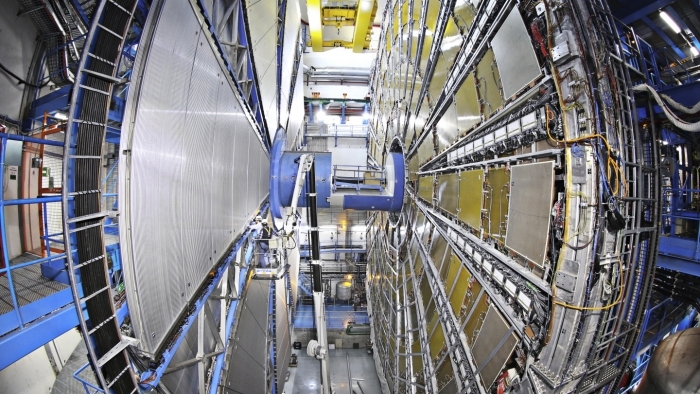 Physicists will continue their Higgs search with the current run of the LHC. At 60 percent higher energy, the LHC will produce Higgs bosons more frequently this time around. It will also produce more top quarks, the heaviest particles of the Standard Model. Top quarks interact energetically with the Higgs, making them a favored place to start picking at new physics. Whether scientists find evidence for Supersymmetry or a composite Higgs (if they find either), that discovery would mean much more than just an additional Higgs. “For example, finding new Higgs bosons could affect our understanding of how the fundamental forces unify at higher energy,” Tait says. In a new blow for the futuristic “supersymmetry” theory of the universe’s basic anatomy, experts reported fresh evidence Monday of subatomic activity consistent with the mainstream Standard Model of particle physics. Previous attempts at measuring the beauty quark’s rare transformation into a so-called “up quark” had yielded conflicting results. That prompted scientists to propose an explanation beyond the Standard Model — possibly supersymmetry. “It would of course have been very exciting if we could show that there was something wrong with the Standard Model — I cannot deny that would have been sensational,” he said. But the model has weaknesses: it doesn’t explain dark matter or dark energy, which jointly make up 95 percent of the universe. Nor is it compatible with Einstein’s theory of general relativity — the force of gravity as we know it does not seem to work at the subatomic quantum scale. But no proof of supersymmetric twins has been found at the LHC, which has observed all the particles postulated by the Standard Model — including the long-sought Higgs boson, which confers mass to matter. Much more rarely, it morphs into an up quark. Wilkinson’s team have now measured — for the first time — how often that happens. 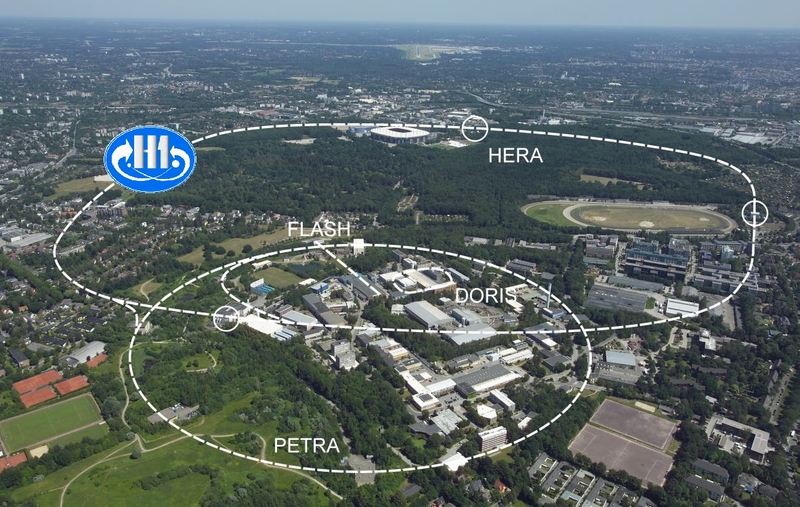 So far, the new run at 13 TeV has re-detected all the Standard Model particles except for the Higgs boson, but Heuer insisted: “We are sure that it is there. Using huge particle accelerators, physicists are searching for supersymmetry. “We usually associate symmetry with spatial symmetry – in connection with an image or a form, for example. But in the standard model of physics, when we think about symmetries we are thinking about something else – the forces between particles. When, for example, the force between two matter particles remains the same after reversal of the electrical charges, we are referring to “a symmetry”. The various forces in the standard model possess a number of such symmetries. According to the standard model, it is valid that the smaller the gaps between the matter particles, the greater the similarity becomes between the mathematical formulas that describe the forces there. We would say here that the theory becomes more symmetrical. Expanding on this concept, the last remaining differences are likely to cancel each other out at some point. It is our goal to describe all forces – gravity as well – and all particles on the basis of one unified principle of symmetry – supersymmetry (“SUSY”). Either Supersymmetry will be found in the next years of research at the Large Hadron Collider, or it isn’t exactly what theorists hoped it was. One of the big questions scientists are asking with experiments at the Large Hadron Collider is this: Does every fundamental particle we know about have a hidden partner that we have yet to meet? A popular set of theories predict that they do. The first run of the LHC came and went without any of these partner particles turning up. But a recent paper shows that the real test of the theories that predict their existence could happen during the next run, when particles will collide at higher energies than ever before. These theoretical partner particles come from the idea of Supersymmetry, or SUSY, a mathematical framework developed over the past 40 years that could answers questions such as: Are all of the forces we know just parts of a single, unified force? How is the Higgs boson so light? What is dark matter? Is the world made up of the tiny, vibrating strings described by string theory? A key aspect of SUSY is that each of the dozens of particles in the Standard Model of particle physics must have a partner, called a superparticle or sparticle. Scientists think all of these sparticles must ultimately decay into a light, stable particle. If they are light enough, supersymmetric particles that interact through the strong force, such as supersymmetric quarks (squarks) or supersymmetric gluons (gluinos), could be produced at large rates at the LHC. There are many different manifestations of Supersymmetry, explains theorist JoAnne Hewett of SLAC National Accelerator Laboratory. A subset of them are known as “natural” theories. That is, they could answer many of the questions above. Their lightest sparticle could be the dark matter particle. The math could work out for all of the forces to have come from a single origin. They could help explain the mass of the Higgs boson. Data from the LHC’s first run, from 2010 to 2013, snuffed out any hope that the simplest natural version of SUSY exists. “But, there are millions of possible models consistent with natural Supersymmetry that have not been explored,” says Hewett’s advisee, Stanford graduate student Matthew Cahill-Rowley. According to a paper they worked on together with two other physicists, the second run of the LHC will investigate nearly all of them. Supersymmetry is enormously complex. Even its minimal form involves more than 100 independent parameters. To deal with this, theorists have over the years proposed several higher-level conditions that simplify the theory and reduce the number of parameters. These theories can predict ranges of possible masses for sparticles that might turn up at the LHC. The figure above shows a plot of some 300,000 more complex SUSY models, identified by their squark and gluino masses on the vertical and horizontal axes, respectively. 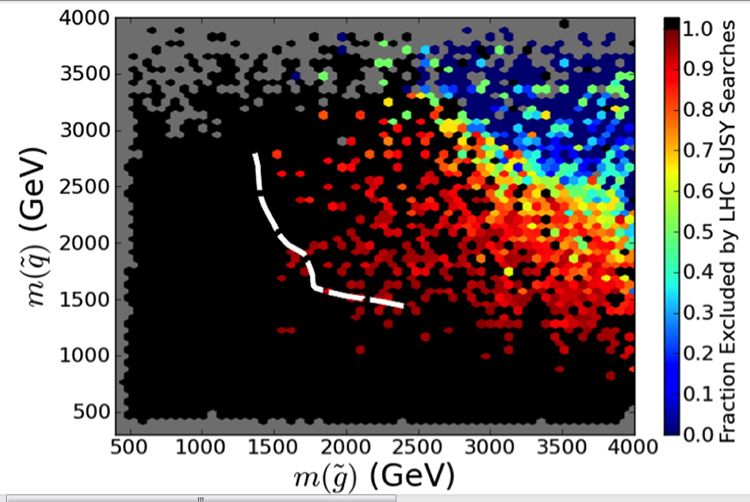 Colors indicate the fraction that have already been excluded by experiments at the LHC. Darker colors indicate a higher fraction excluded. Regions that are black have been totally ruled out. Any points lying below and to the left of the dashed white line represent models that, in SUSY’s most simplified version, are excluded by the LHC. 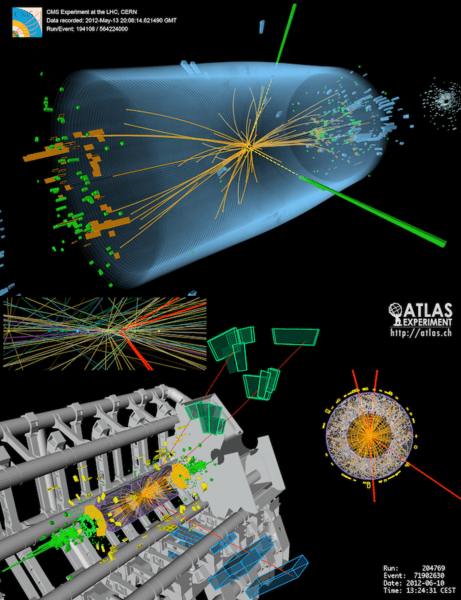 A second image shows which regions can be discovered or ruled out in the second run of the LHC. Almost every natural SUSY theory falls into that category. SUSY may be too complicated to ever truly rule out. But if it doesn’t turn up at the LHC in the next run, it’s not quite the SUSY scientists were looking for. In another few months the Large Hadron Collider. will be powered up to explore its maximum energy range. Many physicists fervently hope we will see definite signs of “new physics,” especially a phenomenon called “supersymmetry.” In the simplest view, the Standard Model souped-up with supersymmetry will offer a massive new partner particle for every known particle (electron, quark, neutrino, etc). One of these, called the neutralino, may even explain dark matter itself! Supersymmetry is the foundational cornerstone on which string theory rests. That’s why physicists call this “stringy” theory of matter “superstring theory.” If the LHC does not turn up any signs of supersymmetry during the next two or three years, not only will simple modifications to the current Standard Model be ruled out, but the most elegant forms of supersymmetry theory will fall too. As an astronomer I am not too worried. The verified Standard Model is now fully capable of accounting for everything we see in the universe since a trillion-trillion-trillionth of a second after the Big Bang to the present time, once you include gravity, and don’t worry too much about dark matter and dark energy. But we need some explanation for dark energy and dark matter to complete our understanding of the cosmos, and for that we still need our physicist friends to show the way. Currently their only answers involve supersymmetry theory. If this idea falls, astronomers will be completely stumped to explain what governs our universe on the largest scales. Beyond supersymmetry, we also have the huge investment of talent that has pursued superstring theory since the early 1980s. Without supersymmetry, the “super” part of string theory also falls, and you end up with a non-super string theory that is clunky, inelegant and pretty dismal in accounting for the finer details of our physical world, often termed “quantum gravity.” A big part of this is the idea that our universe inhabits more than four dimensions — perhaps as many as 11! On April 26, 2006, I had the following exchanges with Stanford theoretical physicist Leonard Susskind, who is widely regarded as one of the fathers of string theory, along with other provocative and foundational ideas such as the “holographic universe.” His comments are still relevant seven years later. Odenwald: Why is it so important for physicists to consider the universe having more than four dimensions, as the mathematics of superstring theory seems to require? Susskind: Almost all working high-energy theoretical physicists are convinced some sort of extra dimensions are needed to explain the complexity of elementary particles. That particles move in extra dimensions is another way of talking about the fact that they have more complex properties than just position and velocity. It is hard to find a serious paper about particle phenomenology that doesn’t in some way use the tools of superstring theory. Furthermore, we all agree that the origin of elementary particles is most likely at the planck scale and cannot be understood without a good theory of quantum gravity. Odenwald: So if superstring theory were found to be an incorrect model for our particular universe, is that like turning the clock back to circa 1978 in physics? 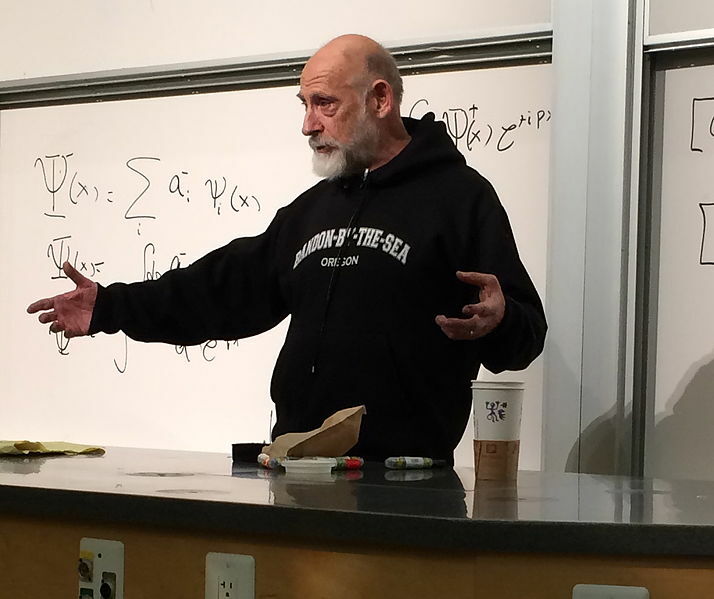 Susskind: I agree that going back to the ’70s would be turning the clock back in the sense that we would be ignoring the vast amount of mathematical knowledge that has been gained over the subsequent years, mostly from string theory. That is just not going to happen. The changes in our theoretical understanding of quantum field theory, gravity, black holes, are completely irreversible. [String theory mathematics] has even worked its way into nuclear physics and heavy ion collisions as well as into condensed matter physics. Odenwald: Kind of a hard place for modern theoreticians to revisit, but for astronomy and cosmology the 1970s seem not such a bad place. Without superstring theory, we would still have cosmological inflation. Without superstring theory, what happened at the instant of the Big Bang would remain unknown, logically indescribable, and still a great puzzle… as it always has. Susskind: [Not quite.] Recent cosmology has been completely dominated by studying the cosmic microwave background [CMB] and inflationary theory. The CMB fluctuation spectrum is widely understood as a quantum effect. Inflation is a gravitational effect. Is there any question that quantum gravity (quantum plus gravity) will be the framework for understanding the early universe? No, there is not. Also I might add that the old inflation that you are referring to was a disaster. It didn’t work. Many inflationary cosmologists like Linde, Vilenkin, and Guth are looking to string theory for possible answers to the puzzles of inflation. Odenwald: Is it fair to say that superstring theory is “too big to fail”? I am reminded of the alledged quotation by Einstein as he was awaiting news about a major test of relativity in 1919. A reporter is said to have asked, “Well, what would it mean if your theory is wrong?” to which Einstein allegedly replied, “Then I would feel sorry for the good Lord; the theory is correct!” Is the physics community in the same predicament because superstring theory is a “beautiful” theory that seems to explain so much, and its mathematics is so impeccable that it is used in other theoretical settings in physics? Susskind: Exactly right. However, it is fair to say that while theorists were developing powerful tools, they mostly had wrong expectations for what the theory was indicating. Most theorists hoped that string theory would lead to an absolutely unique set of particles, coupling constants, with exactly vanishing cosmological constant. What we have learned from the theory itself is that it is a theory of tremendous diversity. Unexpectedly, string theory is most comfortable with a huge multiverse of tremendous variety instead of the small “knowable” and unique universe we once imagined. Odenwald: So what would our theoretical explanations for our universe look like without added dimensions, quantum gravity or string theory? Susskind: Without these things the world as we know it couldn’t exist. Giving up quantum gravity means giving up either the ideas of quantum [mechanics] or of gravity [and general relativity]. In a cosmological context quantum gravity is responsible for the primordial density fluctuations [we directly observe in the CMB] that ultimately condensed to form stars, galaxies, planets, etc. Without string theory we should not have the diversity of possibilites that allow pocket universes [Alan Guth’s term] with the ultra-fine tuning needed to insure conditions for our kind of life. Odenwald: If string theory loses its experimental support at the LHC, wouldn’t it be far worse than merely going back to cosmology circa 1975 or even 1965? We would have to question the very mathematical tools we have been using for the last 50 years! Susskind: I agree with your analysis, except that I would add: Expect the unexpected. Unforseen surprises are the rule in science, not the exception. Remember: Stuff happens. Odenwald: If superstring theory falls, are there any competing theories out there that could hold out some hope? Susskind: Not as far as I know. So there you have it. The Large Hadron Collider absolutely has to find some clue about supersymmetry, or superstring theory is compromised, we will have no good idea about dark matter, and we will definitely be in a bad place until the super-LHC is built in the 2030s. Patience, however, is a still a necessary virtue. Physicists were in this same quandary before the Higgs boson was finally discovered after 50 years of increasingly panicked searching. Theoretical physicists have theorized a possible solution to a longstanding mystery bolstered by the recent discovery of the Higgs boson – a way to preserve the theory of supersymmetry. It was a breakthrough with profound implications for the world as we know it: the Higgs boson, the elementary particle that gives all other particles their mass, discovered at the Large Hadron Collider in 2012. But, for many scientists, it’s only the beginning. When the LHC fires up again in 2015 at its highest-ever collision energy, theorists will be watching with intense interest. Earlier this year in Physical Review Letters, Csaba Csaki, Cornell professor of physics, and colleagues theorized a possible solution to a longstanding mystery bolstered by the recent discovery of the Higgs – a way to preserve the theory of supersymmetry, a popular, but experimentally unproven, extension of the Standard Model of particle physics. Supersymmetry could help explain the unusual properties of the Higgs boson, why the strong and weak interactions of subatomic particles appear to be so different, as well as the origin of dark matter, which makes up a quarter of the universe. 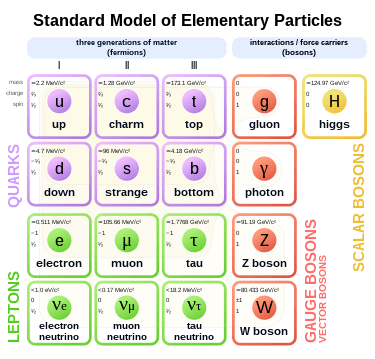 The Standard Model deals with three of nature’s fundamental forces: strong, weak and electromagnetic, which govern the relationships between all the known subatomic particles. Supersymmetry extends the Standard Model by introducing new particles, called “superpartners”; every observed particle would have a corresponding superpartner, with similar properties to those of the observed particles, except heavier and with different spin values. Some scientists think supersymmetry ought to be abandoned after the LHC failed to detect any of these superpartners; some of them, like the top quark’s superpartner, the “stop,” is predicted to be so light that the LHC should already have seen it. In their paper, Csaki and colleagues counter that the particles may be hidden by the noise of other particles formed during the LHC’s unprecedented energy of proton-proton collisions. Their idea has to do with a concept called R-parity. All observed particles are assumed to have positive R-parity, while the unobserved superpartners would be negative, implying that the superpartners cannot decay to ordinary particles exclusively. Searching for the superpartners at the LHC, Csaki explained, has largely operated under the assumption that this R-parity is always exactly conserved. Csaki and colleagues pose a scenario in which R-parity is violated, and would result in a series of interactions giving rise to particle decays that would be nearly impossible to detect by the LHC’s current parameters. The LHC, when back online next year, is scheduled to run at a collision energy of 14 TeV (teraelectron volts) – about double the energy of previous runs. It could lead to ultimate proof of the theory of supersymmetry, which Csaki deems the “most beautiful” of the Standard Model extensions offered today – but science must make room for all possibilities. Mass and length may not be fundamental properties of nature, according to new ideas bubbling out of the multiverse. In the equations of the “Standard Model of particle physics”, only a particle discovered in 2012, called the Higgs boson, comes equipped with mass from the get-go. According to a theory developed 50 years ago by the British physicist Peter Higgs and associates, it doles out mass to other elementary particles through its interactions with them. Electrons, W and Z bosons, individual quarks and so on: All their masses are believed to derive from the Higgs boson — and, in a feedback effect, they simultaneously dial the Higgs mass up or down, too. The scale symmetry approach traces back to 1995, when William Bardeen, a theoretical physicist at Fermi National Accelerator Laboratory in Batavia, Ill., showed that the mass of the Higgs boson and the other Standard Model particles could be calculated as consequences of spontaneous scale-symmetry breaking. But at the time, Bardeen’s approach failed to catch on. The delicate balance of his calculations seemed easy to spoil when researchers attempted to incorporate new, undiscovered particles, like those that have been posited to explain the mysteries of dark matter and gravity. Instead, researchers gravitated toward another approach called “supersymmetry” that naturally predicted dozens of new particles. One or more of these particles could account for dark matter. And supersymmetry also provided a straightforward solution to a bookkeeping problem that has bedeviled researchers since the early days of the Standard Model. This democratic tendency wouldn’t matter if the Standard Model particles were the end of the story. But physicists surmise that far beyond the Standard Model, at a scale about a billion billion times heavier known as the “Planck mass,” there exist unknown giants associated with gravity. These heavyweights would be expected to fatten up the Higgs boson — a process that would pull the mass of every other elementary particle up to the Planck scale. This hasn’t happened; instead, an unnatural hierarchy seems to separate the lightweight Standard Model particles and the Planck mass. With his scale symmetry approach, Bardeen calculated the Standard Model masses in a novel way that did not involve them smearing toward the highest scales. From his perspective, the lightweight Higgs seemed perfectly natural. Still, it wasn’t clear how he could incorporate Planck-scale gravitational effects into his calculations. Meanwhile, supersymmetry used standard mathematical techniques, and dealt with the hierarchy between the Standard Model and the Planck scale directly. Supersymmetry posits the existence of a missing twin particle for every particle found in nature. If for each particle the Higgs boson encounters (such as an electron) it also meets that particle’s slightly heavier twin (the hypothetical “selectron”), the combined effects would nearly cancel out, preventing the Higgs mass from ballooning toward the highest scales. Like the physical equivalent of x + (–x) ≈ 0, supersymmetry would protect the small but non-zero mass of the Higgs boson. The theory seemed like the perfect missing ingredient to explain the masses of the Standard Model — so perfect that without it, some theorists say the universe simply doesn’t make sense. The multiverse hypothesis has surged in begrudging popularity in recent years. But the argument feels like a cop-out to many, or at least a huge letdown. The implications are enormous. Without supersymmetry, the Higgs boson mass seems as if it is reduced not by mirror-image effects but by random and improbable cancellations between unrelated numbers — essentially, the initial mass of the Higgs seems to exactly counterbalance the huge contributions to its mass from gluons, quarks, gravitational states and all the rest. And if the universe is improbable, then many physicists argue that it must be one universe of many: just a rare bubble in an endless, foaming “multiverse.” We observe this particular bubble, the reasoning goes, not because its properties make sense, but because its peculiar Higgs boson is conducive to the formation of atoms and, thus, the rise of life. More typical bubbles, with their Planck-size Higgs bosons, are uninhabitable. “It’s not a very satisfying explanation, but there’s not a lot out there,” Dine said. As the logical conclusion of prevailing assumptions, the multiverse hypothesis has surged in begrudging popularity in recent years. But the argument feels like a cop-out to many, or at least a huge letdown. A universe shaped by chance cancellations eludes understanding, and the existence of unreachable, alien universes may be impossible to prove. “And it’s pretty unsatisfactory to use the multiverse hypothesis to explain only things we don’t understand,” said Graham Ross, an emeritus professor of theoretical physics at the University of Oxford. The multiverse ennui can’t last forever. “The statement that gravity might not affect the Higgs mass is very revolutionary,” Dimopoulos said. A theory called “agravity” (for “adimensional gravity”) developed by Salvio and Strumia may be the most concrete realization of the scale symmetry idea thus far. Agravity weaves the laws of physics at all scales into a single, cohesive picture in which the Higgs mass and the Planck mass both arise through separate dynamical effects. As detailed in June in the Journal of High-Energy Physics, agravity also offers an explanation for why the universe inflated into existence in the first place. According to the theory, scale-symmetry breaking would have caused an exponential expansion in the size of space-time during the Big Bang. However, the theory has what most experts consider a serious flaw: It requires the existence of strange particle-like entities called “ghosts.” Ghosts either have negative energies or negative probabilities of existing — both of which wreck havoc on the equations of the quantum world. “Negative probabilities rule out the probabilistic interpretation of quantum mechanics, so that’s a dreadful option,” said Kelly Stelle, a theoretical particle physicist at Imperial College, London, who first showed in 1977 that certain gravity theories give rise to ghosts. Such theories can only work, Stelle said, if the ghosts somehow decouple from the other particles and keep to themselves. “Many attempts have been made along these lines; it’s not a dead subject, just rather technical and without much joy,” he said. Meanwhile, other groups are crafting their own scale-symmetric theories. Lindner and colleagues have proposed a model with a new “hidden sector” of particles, while Bardeen, Lykken, Marcela Carena and Martin Bauer of Fermilab and Wolfgang Altmannshofer of the Perimeter Institute for Theoretical Physics in Waterloo, Canada, argue in an Aug. 14 paper that the scales of the Standard Model and gravity are separated as if by a phase transition. The researchers have identified a mass scale where the Higgs boson stops interacting with other particles, causing their masses to drop to zero. It is at this scale-free point that a phase change-like crossover occurs. And just as water behaves differently than ice, different sets of self-contained laws operate above and below this critical point. In the meantime, there’s a sense of rekindling hope. “Maybe our mathematics is wrong,” Dine said. “If the alternative is the multiverse landscape, that is a pretty drastic step, so, sure — let’s see what else might be. Supersymmetry is hard to kill. It is more general than most theories of physics beyond the Standard Model: It is the basic idea that particles and forces are fundamentally the same thing but appear different because something creates an effective distinction between them, similar to the way that the Higgs boson creates an effective distinction between the electric and weak parts of the electroweak force. 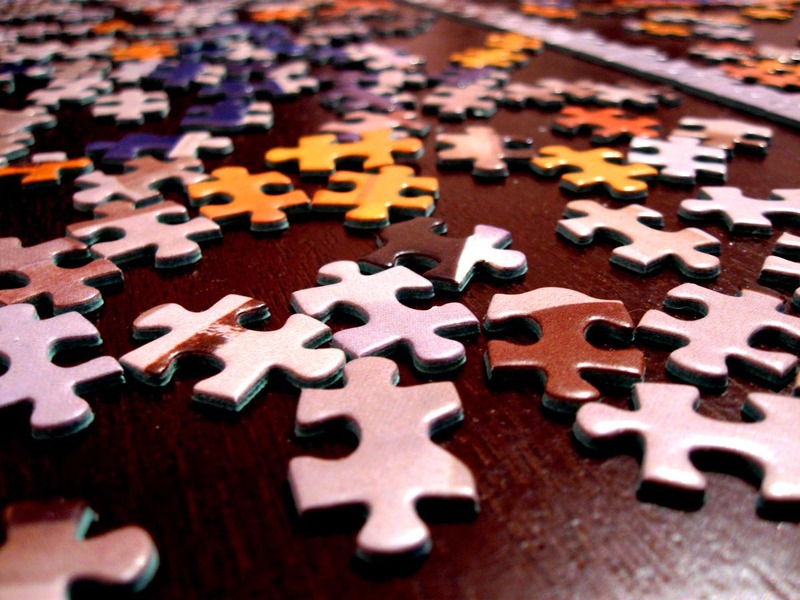 For supersymmetry, that “something” is unknown — many different models of supersymmetry breaking have been proposed and others could be thought up tomorrow. Each variant, including minor variations in numerical parameters, yields different decay patterns involving different cascades of particles. Seekers of supersymmetry are faced with a dilemma: Pick a model of supersymmetry breaking and hope you’re lucky enough to find it, or look at a quantity that is sensitive to a broad class of models, but with less statistical sensitivity. If you pick a specific model and don’t find it, you can set a precise exclusion limit, but only on one model — supersymmetry itself remains elusive. Broad searches, on the other hand, are hard to formulate. You have to think of a signature that is shared by many supersymmetric models yet is different enough from the Standard Model to clearly claim a discovery or set a tight limit. One technique, dubbed “the razor,” shares aspects of both. It makes weak assumptions about the mechanism of supersymmetry breaking but also makes a sharp distinction between supersymmetric particles and the Standard Model. Assuming that supersymmetric particles are within reach of the LHC (like squarks and gluinos), and that they are produced in pairs (R-parity is not violated), and that they decay in cascading chains (as many variants of supersymmetry do), they would show up in LHC collisions as two rough bundles of particles, each with an energy that corresponds to the mass of the first supersymmetric particle in the chain. Different models predict different decay patterns within each bundle, but this technique looks only for the bundles. A group of CMS scientists selected events using the razor technique and found them to be consistent with the Standard Model. This cuts out a broad range of supersymmetric models, many more than a focused technique would. There are still others that might evade the razor’s weak assumptions, but the remaining space is getting thin. Sometimes you just gotta do things the hard way. Today’s article describes an attempt to do just that. While all particle physics is complicated, certain processes are particularly so. Studying the most common kinds of supersymmetric events predicted to be found at the LHC is like putting together an especially complex puzzle. Supersymmetry is a principle that one can incorporate into new or existing theories. At its core, it is nothing more than the rule that matter particles (fermions) and force carrying particles (bosons) in the theory’s equations are indistinguishable from each other. While no evidence for supersymmetry has been observed, it is a very popular idea since it can fill in many physics theory holes. It can provide an explanation for why the mass of the Higgs boson is so small, explain the identity of dark matter, and show how the strong, weak and electromagnetic forces are really different faces of the same thing. Supersymmetry really is a versatile idea. Supersymmetry itself isn’t a theory. However, many theories include it, and each one makes a very different prediction. The one universal prediction in such theories is that for every known particle, there exists a corresponding, as-yet-undiscovered partner that differs only in its spin. For example, for every known fermion (quark and lepton), there is a cousin supersymmetric boson (squark and slepton). Similarly, for every known boson (photon, W and Z boson, gluon and Higgs), there is a cousin supersymmetric fermion (photino, wino, zino, gluino and higgsino). If supersymmetry is right, we have to find these cousin particles. Physicists have been looking for these supersymmetric particles for decades now, with no luck at all. As with most searches for new phenomena, scientists looked for the easier signatures first. Because supersymmetric sleptons decay into (among other things) ordinary leptons, and because ordinary leptons are easy to identify, many early searches focused on sleptons. However, the LHC collides not leptons but protons. That means that, if supersymmetry is real, the most likely supersymmetric particles to come out of the LHC are squarks and gluinos. These particles would decay eventually into more common quarks and gluons, which would make jets — little shotgun-like blasts of particles — in the [particle] detector, and often many jets hit the detector simultaneously. In one particularly challenging situation, a pair of gluinos would each make a top quark-antiquark pair. Since each top quark can decay into three lighter quarks, such an event would have 12 jets. Visually, you can imagine such a collision as 12 randomly oriented shotguns going off simultaneously, with the pellets hitting the detector. Events like these are horribly, horribly complicated. Complicated though these events may be, CMS scientists went looking for them, and find them they did. The problem is that messy events like these can be created by known physics, and new physics requires that researchers find an excess of events with the above-mentioned characteristics. This analysis is similar to a previous Frontier Science Result but uses collisions in the LHC with higher energy than used in the earlier analysis. The result of this search was that no evidence was observed for the extra events predicted by supersymmetry. 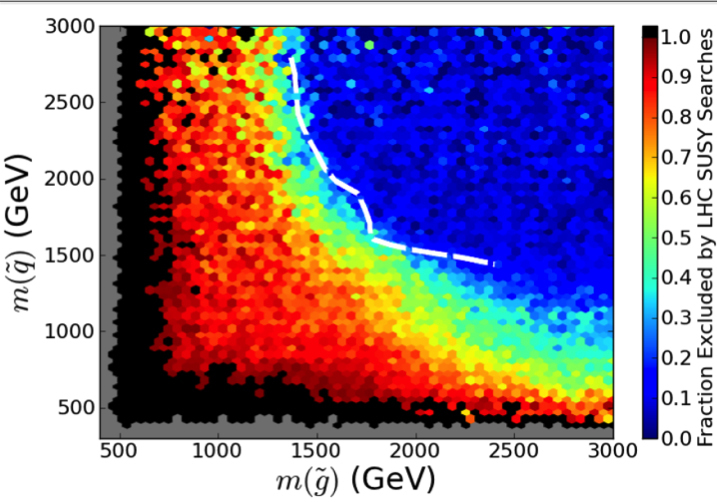 Thus CMS scientists were able to set stringent limits on the mass of the predicted supersymmetric particles. Now it’s back to the drawing board. Physicists on the CDMS experiment have devised a better way to search for a particle that, if it exists, would revolutionize our ideas about dark matter. 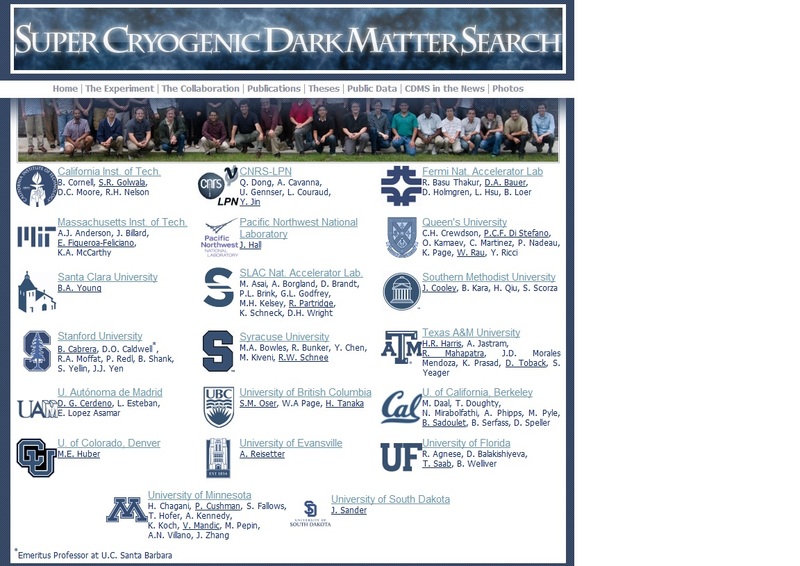 After seeing possible hints of surprisingly light dark matter earlier this year, scientists on the Cryogenic Dark Matter Search have found a way to improve their search for such particles. The discovery of low-mass dark-matter particles could tell us that dark matter is more complicated than we originally thought. Physicists designed CDMS (pictured above) to look for heavy dark-matter particles, the kind predicted by the popular theory of supersymmetry. Supersymmetry posits that every elementary particle we know—the quark, the lepton, and so on—has a massive partner particle. One such partner particle could be what we call dark matter. However, a different theory, currently rising in popularity, predicts the existence of a light dark-matter particle that is just one member in a family of “dark sector” particles. The CDMS experiment searches for dark-matter particles using a detector filled with germanium and silicon crystals cooled to a very low temperature, about -460 degrees Fahrenheit. Atoms in chilled crystals stay very still, making it easier to notice when they are disturbed. If a dark-matter particle knocks against the nucleus of an atom in the CDMS detector, the interaction will release a small amount of heat and charge, which the scientists measure with sensitive electronics. The lighter the particle administering this kick, the smaller the amount of heat and charge released. That makes low-mass dark-matter particles are particularly hard to find. A modification to the CDMS detector called CDMSlite—“lite” standing for “low-ionization threshold experiment”—combats this problem with the application of a larger voltage across the crystal (a whopping 69 volts instead of the usual 4). This amplifies the signal that low-mass particles release, giving the scientists a much closer look at the energy range where light dark-matter events should appear. The experiment has now set the strongest limits in the world for detection of a dark-matter particle with a mass below 6 billion electronvolts. “We are excluding new parameter space that hasn’t been probed before,” says Pacific Northwest National Laboratory physicist Jeter Hall, who conceived of and helped realize the idea of using higher voltages. While CDMSlite is not well suited for looking for heavy dark-matter particles—their much-larger signals would saturate the experiment’s electronics—CDMS will not give up on its quest for a massive particle. CDMS scientists will operate detectors in different search modes to cover a wide range of dark-matter masses. “We should consider a broad range of possibilities, given how little we know about the properties of dark matter,” says physicist Richard Partridge, who heads SLAC National Accelerator Laboratory’s CDMS group. Scientists hope to use the technology developed for CDMSlite in the next generation of the experiment, a larger detector to be placed more than a mile underground at SNOLAB in Canada.